MegaOmega is a blend of cold pressed Essential Fatty Acids (EFAs) sourced from Flax, Hemp, Pumpkin, Olive and Evening Primrose Oils. 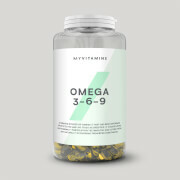 These sources provide levels of the essential fatty acids Omega 3, 6 & 9. Essential Fatty Acids (EFAs) are necessary fats that humans cannot synthesize, and must be obtained through diet. ALA (Alpha Lipoic Acid) contributes to the maintenance of normal blood cholesterol levels. The beneficial effect is obtained with a daily intake of 2g of ALA.
Who is MegaOmega Oil suitable for? For every 5ml serving, MegaOmega Oil contains Alpha Linolenic Acid (Omega 3): 2500mg, Linoleic Acid (Omega 6): 1000mg, Oleic Acid (Omega 9): 950mg. 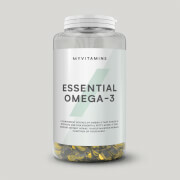 Anyone who wants to increase their essential fatty acid intake, take up to 15ml per day. Consume 5ml, 1-3 times daily with meals. Made in a facility that also handles Gluten, Soy and Crustaceans & Molluscs. Unflavoured: Flax Oil, Hemp Oil, Pumpkin Oil, Olive Oil, Evening Primrose Oil.